Hi! I am Ashlie (Amanda’s sister) and I am back with another edition of 7 Pins in 7 Minutes. This bi-monthly post is all about what has caught my eye on Pinterest lately. If you aren’t following the Kuzak Closet Pinterest Page you should! I find fun recipes, cute fashion, and simple organization tips and share them on one of the many Pinterest boards! This first pin is beautiful! I am hoping that my hydrangeas look this good soon! This food storage bin organization is perfect! I am going to try this ASAP! 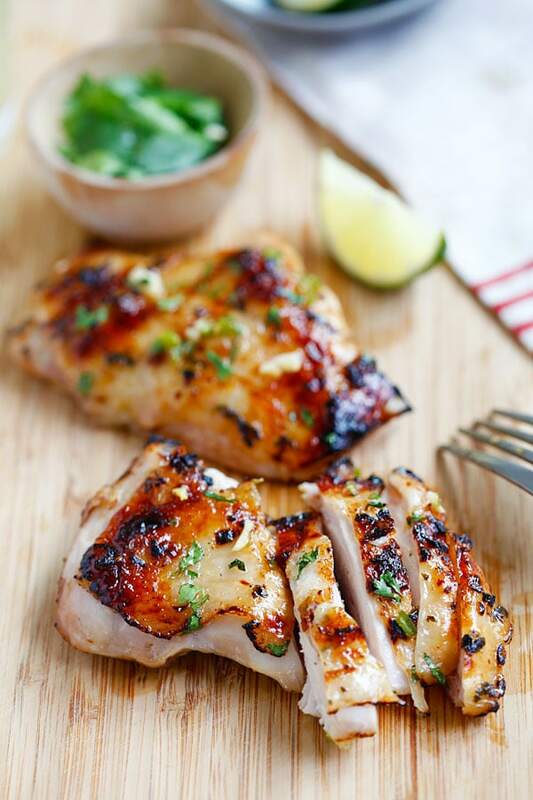 There are over 600 rave reviews for this Chili Lime Grilled Chicken. This is a must for your next cookout! How cute is this gift card presentation–perfect for this time of year when the school year is winding down. Wait until you see how simple the directions are too! I have been on the lookout for a summer reading list and this one looks great! I am ending today’s post with dessert. Chocolate Chip English Toffee Bars….yum! These look delicious! Thanks for stopping by! I will be back in a couple of weeks with 7 more Pins!